Legal marketers often refer to directories as a necessary evil. Whether it’s Chamber, Legal 500, SuperLawyers or Best Lawyers, firms need to consider how each publication ranks the attorneys/firms and craft their nominations to achieve the best rankings. Recently, I had the pleasure of meeting with David Burgess, Publishing director at Legal 500-US, to talk about their research process. 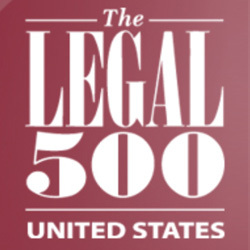 The focus of Legal 500 is to make recommendations that corporate counsel, general counsel, CEOs and CFOs can use when selecting outside counsel. Legal 500 does not try to be all things to all people, but rather to deliver strong recommendations based on the success of a practice group within a firm. They achieve this by focusing on the practice group’s team performance, not on individual lawyers. While we are enjoying these hot summer days, the folks at Legal 500 are gearing up for the start of their research season – the schedule will be announced in the next few weeks. The research schedule purposely remains nearly the same each year because new rankings are published in June, submissions are due around Thanksgiving and interviews take place from late November through the end of January. Because nominations are due months after publication, legal marketers have time to assess their placements last year and how they will change the nominations this year to improve or maintain their rankings. Submissions across all practice areas are due within the same month, so they are reviewed during the same time frame. This allows for a snapshot in time across all practice areas, meaning market conditions are the same. This also allows for Legal 500 to publish historical data showing firm performance over time. Improvement over past year’s performance. With these guidelines in mind, legal marketers have a pretty good idea of what they should focus on when drafting a submission and preparing for the interviews – the practice group’s performance as a team. Often, the most compelling submissions describe the team’s innovations and successes, much as they would be told to a potential client. The submission shouldn’t be a pitch, but should tell the story of what the team has accomplished, whom they work with and what they have achieved. Now’s the time to look at last year’s rankings, meet with practice group leaders to determine what to focus on this year and start planning what to include in your nomination. If you would like assistance with Legal 500 or any other submissions, please contact Susan Holmes at sholmes@jaffepr.com.